Adios IFT2016! Huber Salutes Chicago! 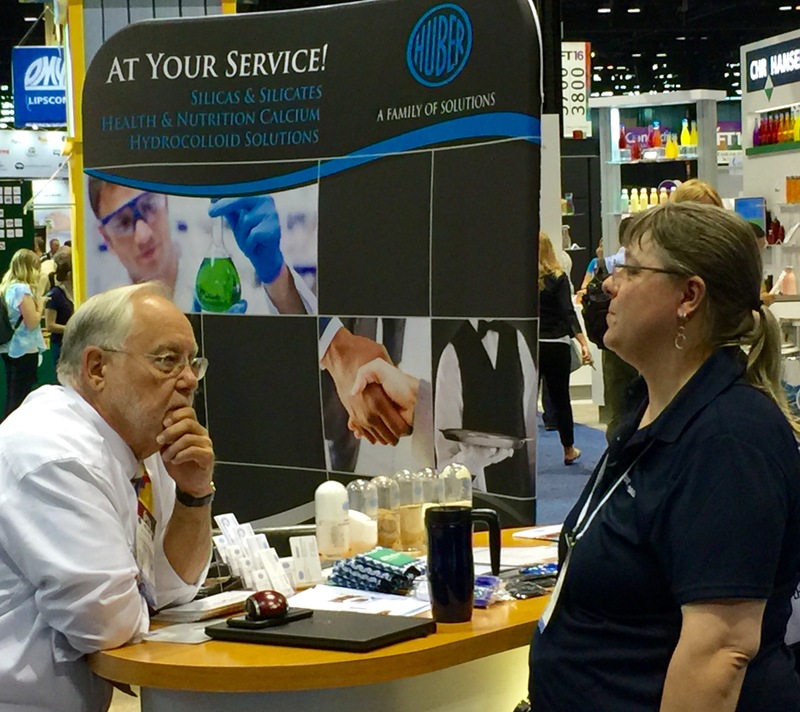 What a terrific IFT2016 for Huber Engineered Materials in Chicago at McCormick Place South! In today’s fast-paced world where innovative technology provides great ways to instantaneously communicate, there’s nothing like an opportunity for a face-to-face greeting and an old-fashioned handshake. We sincerely appreciate everyone who stopped by booth 3239 to visit with us. We’ve so enjoyed meeting with attendees over the past three days discussing our array of silicas and silicates used for anti-caking and free-flow applications in powdered food products. We also talked about our high-performing HuberCal® pure and natural calcium carbonate used for food fortification. HuberCal typically has a calcium assay of greater than 99%. Before we depart IFT, a special salute to the great city of Chicago which has hosted this event many times in the past and we look forward to coming back in the future. So for now, so long Chicago and we will see everyone in 2017 when the event moves to Las Vegas in late June.